On the afternoon of December 20, the Second Petty Bench of the Supreme Court, presided over by Judge Kaoru Onimaru, dismissed Okinawa’s appeal in the lawsuit brought against Okinawa by the national government to have Okinawa Governor Takeshi Onaga’s cancellation of approval to reclaim land in Henoko, Nago City declared illegal. The Supreme Court accepted the national government’s claims and reaffirmed the ruling by the Naha branch of the Fukuoka High Court that Onaga’s cancellation of the approval was illegal. In light of the ruling, Governor Onaga is expected to “cancel” the cancellation before the year ends, and the national government intends to resume land reclamation construction as early as the beginning of next year. 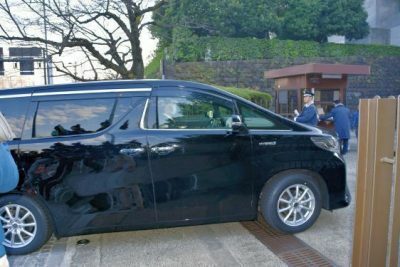 Meanwhile, Governor Onaga has expressed his intention to maintain his stance of blocking construction of a new base in Henoko, and the confrontation between the prefectural and national governments over the new base construction has entered a new phase. In the first trial in the lawsuit to have the Okinawan governor’s “inaction” declared illegal, the Naha Branch of the Fukuoka High Court ruled on September 16 that Governor Onaga’s cancellation of the approval was illegal, its ruling accepting the claims of the national government, which called on the court to confirm the illegality of the approval cancellation, in their entirety. The Okinawa prefectural government objected to the ruling and appealed on September 23. On December 12, the Supreme Court determined that it would reach a verdict without holding any hearings, and used a portion of the prefectural government’s petition for acceptance of final appeal regarding judicial precedents and violation of laws and regulations as the subject of its deliberations. 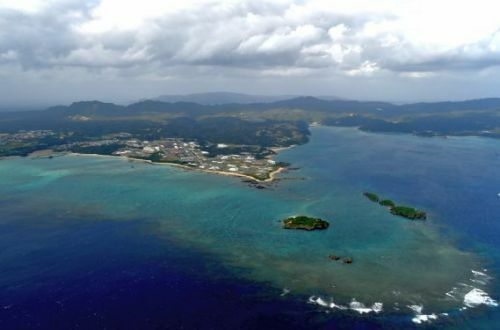 Regarding the relocation of U.S. Marine Corps Air Station Futenma to Henoko, then-Okinawa Governor Hirokazu Nakaima approved the Okinawa Defense Bureau’s application for approval of land reclamation on December 27, 2013. Governor Onaga, who was elected campaigning on the promise to block the Henoko new base construction, cancelled the approval on October 13, 2015. After the national and prefectural governments came to an out-of-court settlement in a separate “proxy execution” lawsuit where the national government sought a court ruling permitting it to approve the land reclamation in place of the prefectural government, the national government filed the present “declaration of illegality of inaction” lawsuit at the Naha branch of the Fukuoka High Court on July 22, 2016.